Mention Sentro and the first thing that comes to everyone’s mind is Sinigang na Corned Beef. A very interesting take on the classic Filipino Sinigang, it has brought incredulity and wonder on the faces of many Pinoys. While it is one of the dishes that has made Sentro 1771 very popular, the restaurant goes beyond that, with a wide selection of dishes that modernize the Filipino cuisine we grew up with. 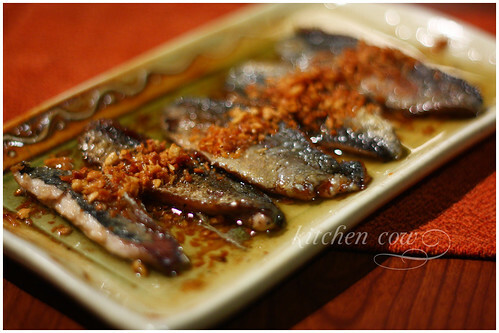 A part of the Chateau 1771 group of restaurants, Sentro 1771 is Filipino cuisine with a splash of modern. At a glance, these reinvented classics feel more cosmopolitan than the comfort cooking we’re familiar with, but after you take a first bite, I’m sure you’ll agree with me that the heartwarming flavors are the same ones we all love. 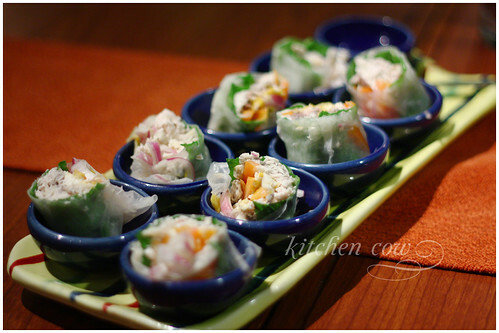 Take, for instance, this recent addition to their menu, the Fresh Smoked Fish Spring Rolls. 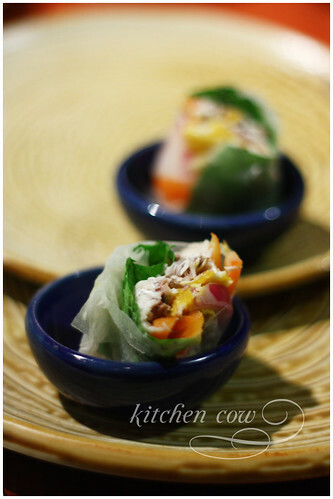 It looks classy — inch-high little rolls, served in individual little cups, with a vinegar-based sauce on the side. You’d think it were some European fusion dish, with the lumpia wrapper being the only Pinoy element. Biting into it tells you otherwise, as it screams Pinoy Breakfast through and through. Tinapang bangus, itlog na maalat, tomatoes, onions and lettuce, tightly held together by a chewy rice paper skin. One bite and I knew I was in love. 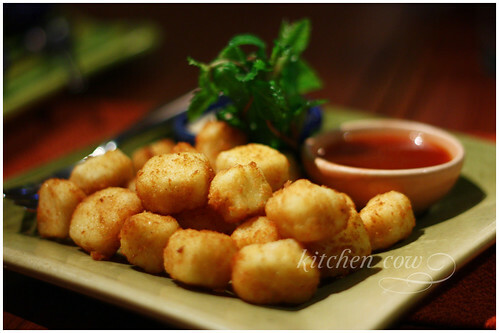 Another appetizer we tried was the Fried Kesong Puti. Served on the side with a sweet chili guava sauce and a garlic dip, it’s something I can easily get addicted to. It does justice to kesong puti, as it turned gooey and chewy underneath the crispy breadcrumb crust. As to the best dip to pair it with, I honestly can’t choose. I like the fruity bite of the chili guava sauce and the sharp garlic taste of the other. I guess it’s a good thing you don’t have to choose and can have both. Another new dish on their was the Adobo Catfish Flakes. Admittedly, I was surprised when they served it. I was expecting something brown, crispy and flaky, much like your usual meat adobo flakes, so a dish of cubed, yellow-tinged fish threw me off a bit. Still, even if it wasn’t what I thought it was, it’s still a good dish choice as the catfish was light yet meaty, with a tinge of refreshing turmeric. True to the adage about not judging things by appearances, yes? One of my Sentro favorites is the Rated GG, so I knew I had to order it, too. The lowly galunggong takes its turn in the spotlight as it’s filleted, lightly fried in oil and garlic, then sprinkled with crunchy garlic. Another winner on their menu, it’s not surprising that it’s one of their bestsellers. It’s best enjoyed with loads of steaming rice. How can it be dinner at Sentro when you don’t have their Sinigang na Corned Beef? 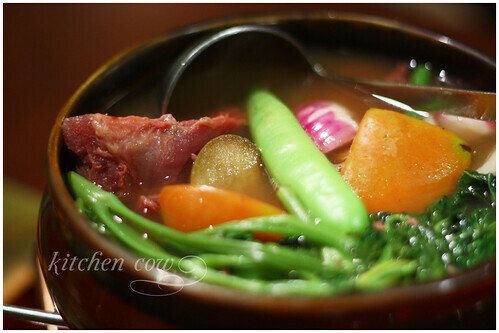 Generous, meaty hunks of corned beef stewed in tamarind broth and vegetables. You’ll never look down at Corned Beef again once you’ve tried this Sentro favorite. One thing I like about their Sinigang is how they cook it following your specifications. They serve you a small jigger with some of the broth, letting you decide whether you want it more sour. For dessert, we split the Coffee Bean Sans Rival, a sugar and caffeine rush inducing take on the usually innocent egg white dessert. Light and airy, I still found it humongous so it’s perfect for sharing. Well, unless you’re a big dessert monster, then you’ll want to have it all for yourself. We left Sentro stuffed and happy. And quite disappointed, I must say, that the meal has come to an end. There are more dishes I want to try and even more I want to come back to. (I’m looking at you, Smoked Fish Lumpia!) 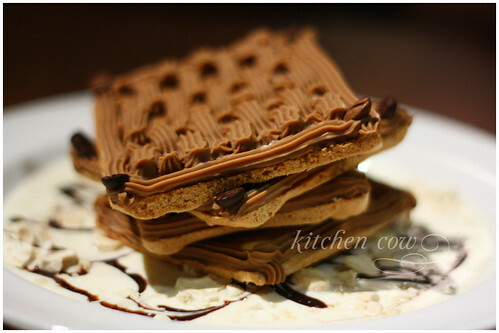 Stop by Sentro sometime and relive my dining experience. Be sure to bring your family or friends along. This is one meal you’ll want to share—even if it’s just because you want an excuse to order a lot of different things. Many thanks to Mr. Ramon Vera and Sentro 1771 for having us over. This entry was posted in restos & eateries, sponsored events and features. Bookmark the permalink. Favorite ko yung Adobo Catfish Flakes. YUM! 😀 BTW, really lovely pictures. I’ll definitely to come back to your blog again. Please do. I’m sure you’ll love the food. We love this resto too! We were regulars in their Portico Malate Branch until it transferred to High Street, which is so much better since we live in Paranaque. Anyway, Rated GG is also my fave. 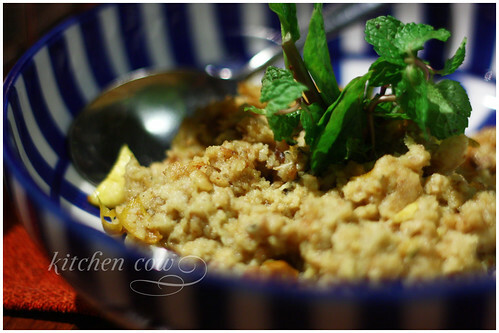 I am very happy that you enjoyed the food at Sentro… and I extend this also to the people who commented above. Wow! You take great photos!!! Would you like to shoot our next product shots? nag order kami nung isang araw nung spareibs pero hilaw. Thanks, glad you liked it. The food there is really awesome. It’s a restaurant worth going back to. Perhaps it was an off day? So far, maganda ang service during the times I’ve eaten at their Greenbelt branch (most accessible sakin), and the food was always a winner. I hope you pointed it out to them para naayos nila. You definitely deserve well-cooked food.